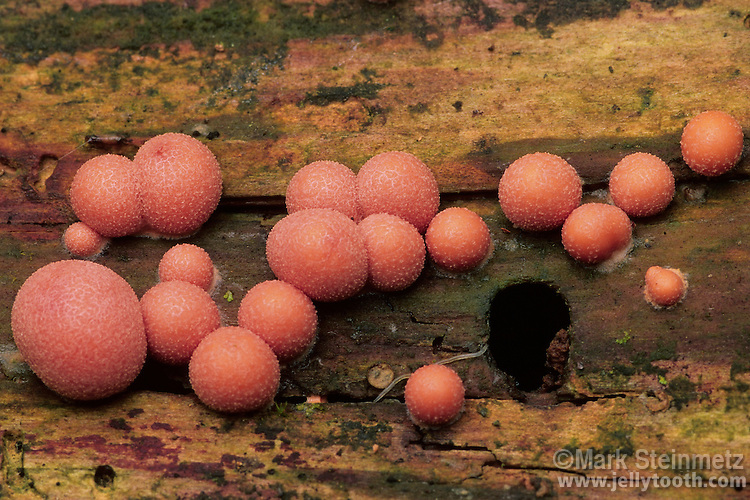 Wolf's Milk Slime (Lycogala epidendrum). An immature phase of a slime mold. Upon maturing, spheres or cushions will turn brown or gray before releasing spores. Sometimes called "Toothpaste Slime", because the substance that oozes out of cushion bears a resemblence to pink toothpaste. Magnification of 1X at 35mm.